Back on Market- buyer's financing fell through. 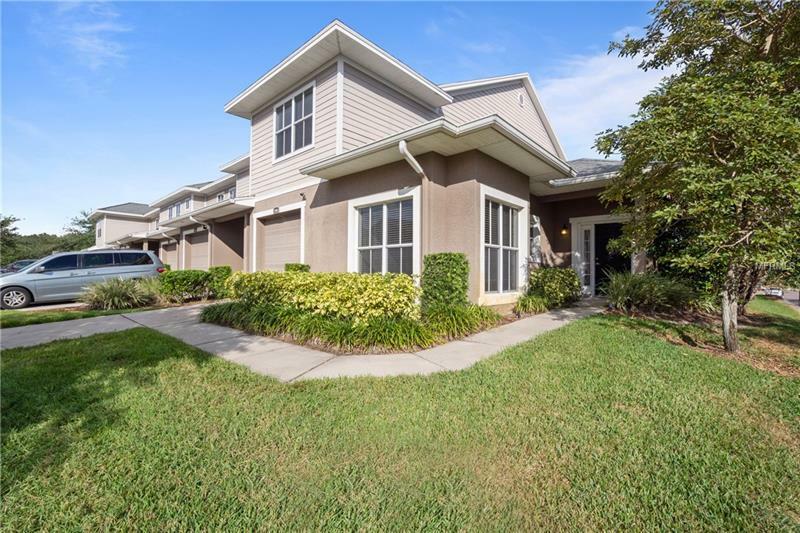 NEWLY RENOVATED, corner lot in the beautiful Townhomes at Wexford community! NEW AC installed in 2017! Original owner- has put great care in to maintaining and upgrading this home. As you walk in, the kitchen, which has stainless steel appliances, opens up into the living/dining room. The vaulted ceilings allow for even more openness in the living space, creating a great atmosphere for entertaining with family and friends. Off of the living room, you'll find an enclosed patio to relax with your morning coffee. Plus having an end/corner unit allows for additional privacy. The master bedroom downstairs has it's own en-suite bathroom and walk in closet. Upstairs you'll find the other 2 spacious bedrooms, along with the 2nd bathroom & laundry. Warm wood-look laminate flooring throughout- no carpet! The community also has 2 beautiful pools to relax in all year long, as well as a playground and dog park. You'll be in a great location, with easy access to I-4, I-75, the Hard Rock, and tons of great shopping & dining. It won't last long- hurry and make this your home today!